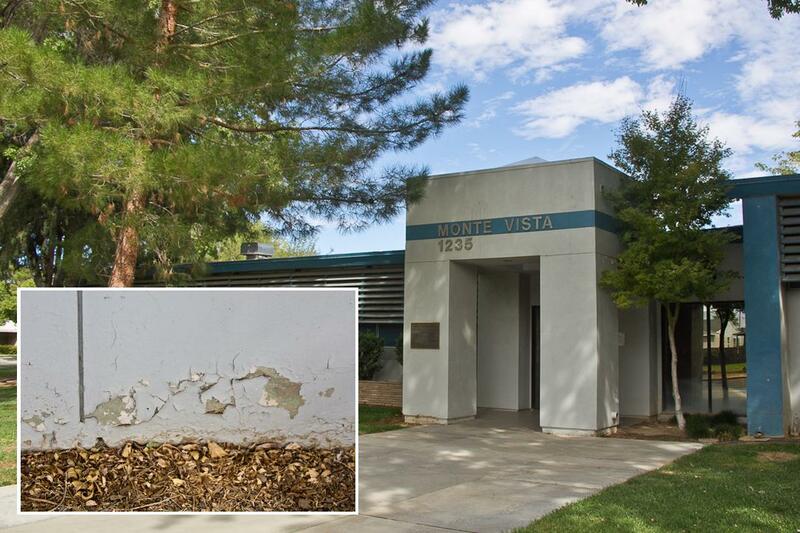 Monte Vista’s campus is over 60 years old, and the school’s exterior is faded, cracked, and weathered. 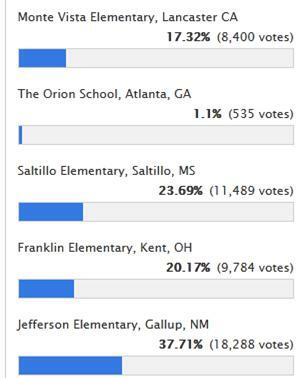 By voting online now, you can help the school win a free, $50K makeover. VOTING ENDS ON OCTOBER 26. Voting results as of 12 p.m., Oct. 22. LANCASTER – Time is running out, and Monte Vista Elementary School in Lancaster needs your help. Monte Vista is competing with four other public schools in a nationwide contest to receive a complete makeover, valued at approximately $50,000. The school that receives the most online public votes through October 26 will receive a colorful makeover with up to 200 gallons of Glidden® paint. The company will also supply the labor to paint the inside or outside of the winning elementary school. Read more about the contest here. Monte Vista is currently in fourth place, and urgently needs your support to get to first place. If you have already voted, please forward this message along to your friends and family so they can vote, as well. Voting is simple and takes less than five seconds. You don’t have to give personal information, like your name or email address, and anyone with an Internet connection can vote.